I have to admit, I went back and forth about getting this one for a bit before I finally decided to purchase it. I loved the Twilight series (not the movies, just the books) and I was a little bit worried that I would be looking for that same type of writing as I read. I began the book doing exactly that and I almost put it down after the first few chapters because I really didn't like the main character, Alex, as a person. 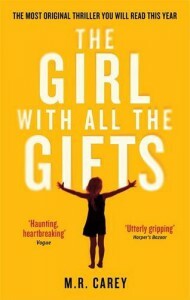 However, I don't like to abandon books so I kept trudging along and by the time I got to chapter 7, I was hooked. I guess I just needed to get used to her as an imperfect heroine who really wasn't that good a person on some levels. Once the first action scene hit though, I found that I was able to appreciate the story and immerse myself more fully in the lives of the characters. What did I like? I really enjoyed the character development once I accepted them for who they were. Alex and Kevin were both quite unlikable at first but then began slowly to grow, forming an almost family-like bond that even they didn't quite realize they had until an important event in the storyline. They were both able to find their more human sides. I loved the way dogs were such a big part of the book as well. Einstein and Lola and the other trained dogs in the story really added to the engagement level. I only wish we knew more about what happened to some of them in the epilogue. Plenty of action and violence, some romance (albeit a bit of an odd match at first), and some interesting minor characters as well. Val was great! A small amount of snark as Alex and Kevin verbally abused one another added a bit of humor to lighten things up occasionally as well. If you like mystery thrillers, this is a pretty good story. 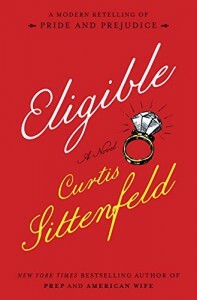 Eligible is described as a modern retelling of Pride and Prejudice and that is exactly what it is. I picked it up on Audible for my ride to work and hoped for the best. It did not disappoint. 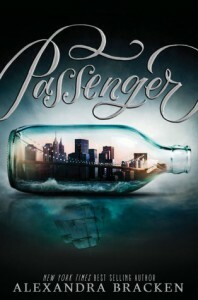 I really liked it and the narrator was perfect for the story. The characters were all perfect and I have to give a special shout out to Mrs. Bennett. She was portrayed perfectly in both style and narration and I know this because she drove me nuts every time she spoke. I literally wanted to cover my face in my hands, but of course I couldn't because I was driving. Just like in the classic, her main interest was to marry off her daughters. However, in this version, she was the sheltered wife, still mentally living in an age overly concerned with proper etiquette and not adapting to modern culture and ways of living. 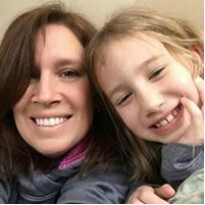 I give this character the most kudos in that she made me wince (or laugh) with compassion for her daughters almost every time she opened her mouth. The Bennett sisters were also written extremely well. Their stories were interesting and just like in the original, their paths to happiness were riddled with obstacles but ultimately, they all found what they were looking for in life, even if it wasn't exactly what their mother was hoping for. 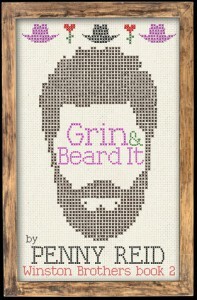 Not usually a fan of the romance genre on its own, I would tell almost any fiction to pick this book up. I thoroughly enjoyed it and may even reread it in the future. Really engaging and a lot of fun to read. My favorite fairy tale has always been Peter Pan and I've read almost every book I can get my hands on that tells this tale, no matter what twist the story takes. 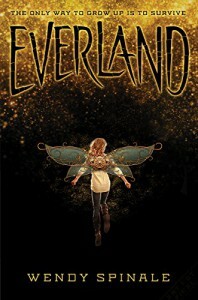 Everland was Peter Pan told with a Dystopian twist and I really enjoyed it. Pete is the leader of the children who have survived the invasion and disease that hit their home. Hook is the captain of the German marauders that invaded England, and Gwen is the key to everyone's survival because she holds the cure to the disease that has killed almost all of the adults and is slowing beginning to take the children as well. The story is engaging and has plenty of action. 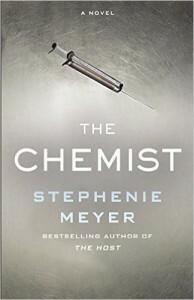 The characters all bring back memories of the original story but are also uniquely written to fit this genre. Very clever twist on the story and worth picking up even you aren't a Peter Pan fan. I love this series and this third installment was just as much fun as the first two. 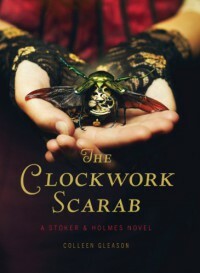 For those of you who haven't read them, the series is steampunk mystery and the main characters are two young ladies who are the descendants of Bram Stoker and Sherlock Holmes. So, that being said, we also have vampires, dirigibles, Scotland Yard, and the one and only Sherlock Holmes himself making an appearance on several occasions throughout the books. 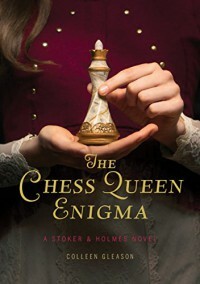 This particular story revolves around a lost chess queen that was meant to be used as a peace offering between two countries. The girls must find out why it is so important and where it has gone. Coincidentally, there have been strange attacks in the city, leaving the victims either dead or dying from loss of blood. With the help of Dylan (who traveled back in time from 2016 in the first book), Inspector Grayling, and Pix, they try to solve the mysteries at hand. The pacing in the story is good but the familiar Holmesian attention to detail can be a bit long on one or two occasions. There are several action scenes and just a scant amount of romance that may be a predictor for what is to come in the next story. I find the books to be a lot of fun and I have come to really enjoy all of the characters. It is definitely worth picking up if you like the steampunk setting and mystery genre. I listened to this one on Audible and, while I enjoyed the story, I did not like the narrator at all and he actually took away from my enjoyment of the characters because the voices were so unattractive. I will not be listening to the second book. I listened to this book in audio format and the narrator did a really nice job. The story wasn't what I was expecting but I did really like it. It is a sort of zombie apocalypse-type genre and it took a while to really figure out what was going on outside. Most of the beginning of book was set in a cell block. Once we left the cell block, however, things escalated quickly and the pace increased substantially. There are some really disturbing parts to this book as well, both mentally and graphically but without them, the realistic aspect of the book would have been lost. What really got me however, was the way it ended. No spoilers here but I will say that I did a lot of thinking of how the future would play out once the final scene was finished. 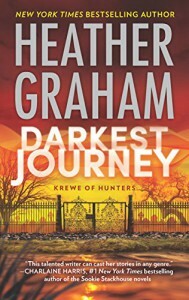 I love all of the Krewe of Hunters books. My only complaint is that all three in this particular set had characters who knew each other and murders connected to cruise ships. It was just a bit overly coincidental. Thoroughly entertaining otherwise and I will continue to read this series. 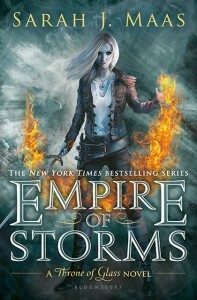 Empire of Storms is the fifth book in the Throne of Glass series and I have to say that every time I read another book, I kick myself for putting off the series for as long as I did. Sarah J. Maas is probably now one of my favorite authors of all time. 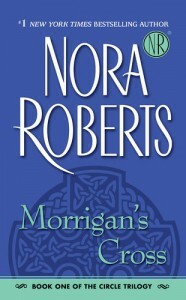 Her writing style has had me completely engrossed in the stories from beginning to end. I can honestly say that there is not one single part that had me bored or wanting to put the book down, even for a minute. Every character, Aelin, Aedion, Rowan, Lysandra, Manan, and Dorian, was written beautifully. Each has come from their own backstory and they have now all joined together for a common cause, the saving of Terrasen and the defeat of Erawan and his dark forces. In this installment, I was most moved by Manan's story. Wow! It used to be that I couldn't wait to get back to Aelin's or Dorian's perspective but in this book, Manan became one of my favorite characters. It was one of her scenes that had me on the edge of my seat crying my eyes out as I read frantically to see what would happen next. Beautifully written and heart wrenching at the same time. I love that as the story moved forward, she began to find a bit of humanity and that she and Dorian may be developing a relationship in the future. As for the ending? It had me both satisfied and just a tad frustrated. It wrapped up well in the sense that everyone has a purpose and is moving on to the next stage in their adventure. As a reader, I can feel that events are all coming together for that final push to the end. However, I was also quite upset by the events in the last two chapters and by some of the decisions that were made, even though I knew that something like this had to happen. 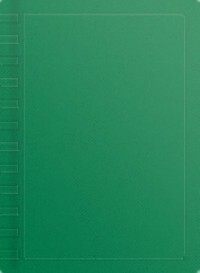 I'm wondering what path the author will decide to take for the final book. The continuation of this story cannot come fast enough for me! 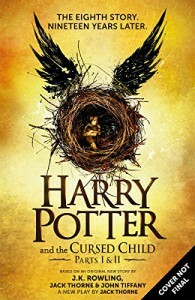 I was just a little bit hesitant about picking up Harry Potter and the Cursed Child because, although I love Harry Potter, I thought that the script format might take away from the story. I could not have been more wrong.Once I got going, I almost didn't even notice the format anymore and the story flowed just as smoothly as any other book I read. The new Harry Potter was definitely a page turner and I finished it pretty quickly. I enjoyed every moment and have now passed the book on to my son, who I know will love it just as much. I loved the book. Harry himself really doesn't have that large a part but the part he does play is crucial and his presence is felt throughout the entire story. The characters who do take the main stage are so well written and fun that you get lost in their adventures just as you did in the original HP series. It was nice to see Harry as a father struggling to make good decisions for his family and to see his son Albus trying to find himself in the shadow of his father's fame. I loved the friendship that developed between Albus and Scorpius. It was a perfect fit and I look forward to reading more about these two and their lives at Hogwarts. I have to say, I did not go into this book expecting another Harry Potter epic. I think that some people really compared this to the other books and so may have been disappointed. I however, was not and think this book stands perfectly on its own while still giving the reader the pure joy that comes with being a Harry Potter fan. 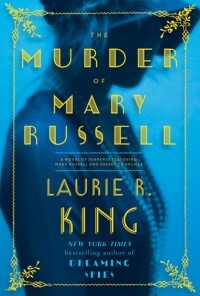 The Murder of Mary Russell is I believe the 9th or 10th book in the Mary Russell Mystery series. I love them all. 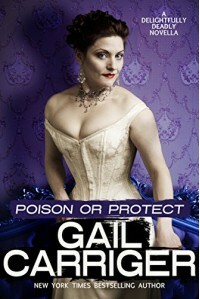 Mary Russell is the young wife of Sherlock Holmes. She is the main investigator and heroine while he is her partner. The books are almost all from Mary's point of view and she is a delightful narrator. In this book, Mrs. Hudson comes home to find blood and disarray and she fears the worst. No one can find Mary and the scene is grim. I was quite worried that this would be the final book in series but I found that much of the story focused on the back story of Mrs. Hudson and how she came to be in the employment of Holmes. It was so interesting and well written. It wove in perfectly with the disappearance of Mary. I will not spoil the story but I can say that I was riveted from beginning to end, not because of any intense amount of action of emotion, but because Laurie R. King's stories are so engaging. I certainly hope this isn't the last of this series.